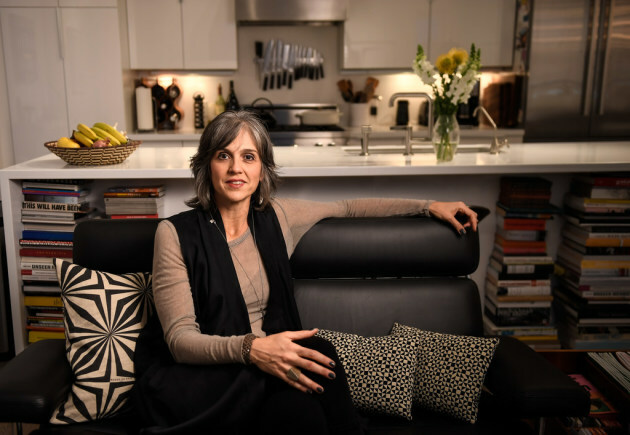 Above: Olga Viso at home in Minneapolis during her tenure as Walker director. for a portrait in her home. Photo by Aaron Lavinsky. Walker Art Center’s former executive director Olga Viso will be a fellow at the Andrew W. Mellon Foundation in New York for one year beginning in June. Her project will look at interdisciplinary potential in the arts, and the future of artist’ foundations and archives. Viso is currently a senior advisor at Arizona State University’s Herberger Institute, where she develops global partnerships in the arts -- including one to help artist James Turrell (whose installation "Sky Pesher" is on the hillside next the Walker) complete his monumental Roden Crater earth works. From now through 2021, she is also a visiting scholar at the Smithsonian Institution's Hirshhorn Museum and Sculpture Garden in Washington D.C., where she worked from 1995-2007 before coming to the Walker. For the duration of her fellowship, Viso will be based in NYC and continue traveling back to Arizona to work with ASU. She also recently penned a thoughtful article for the American Alliance of Museums, pointing to the need for museums to embrace new values in order to move forward. She points to calls for decolonizing the museum as “the next wave” (which she also wrote about for the New York Times); debates about who has the right to tell the story; notes the impact of the #MeToo movement on artists who have been accused of sexual harassment or misconduct; and discusses the removal or protest of artworks that memorialize countries’ histories of racism in problematic contexts. “Will institutions founded on 19th-century values become reliquaries for the dead and a painful reminder of the past? Or will they become a testament to a history that is organic, inclusive, alive, and whole for all people and all times?” she writes for AAM. Viso herself experienced this shift during her tenure at the Walker. She left at the end of 2017 after tensions with the board following the 2017 takedown of Sam Durant’s “Scaffold,” a sculpture that referenced the 1862 hangings of 38 Dakota men, and caused uproar from the community.